Couch potato cats – Nick. 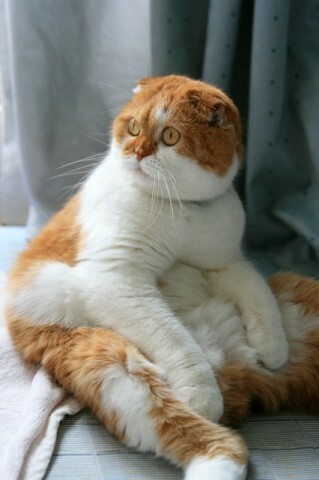 Yahoo Japan are running a photo contest for cats that sit like humans. Japan Probe has more information on the “suko-zuwari” pose including an informative video. Haha awesome love those ears! They look a bit stumpy but it could be the angle of the photo. I vote for #13, the one with the scary face!